Whether you are building a new home or remodeling an existing one, design and construction must meld together to create your dream space. The construction process runs much smoother when the designer and builder are housed under one roof. 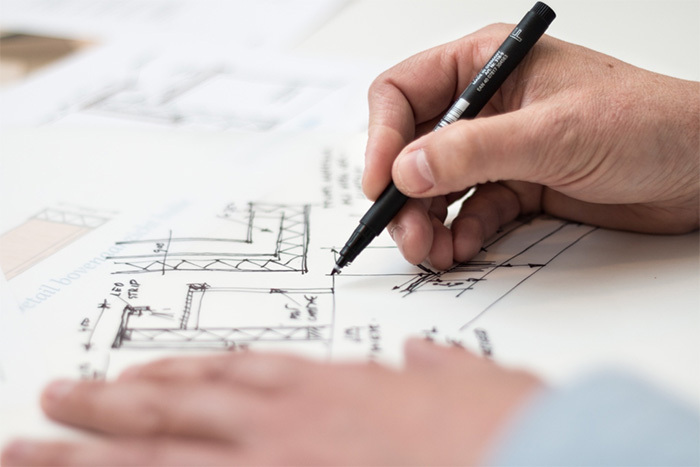 Having a full-service team of architects, project managers, contractors, designers and dedicated office staff working together provides the personal attention a project requires to keep it on time and budget – and makes sure no detail is overlooked. When homeowners use separate architects and builders, budgets are sometimes blown. With the builder and architect on one team, they can find the most cost-effective way to create the new home or space you crave because they are working together toward a common goal – beautiful design, quality construction, great value. This “one-stop-shop” model enables faster project completion times. Fewer change orders arise, and when a homeowner wants to change something, the process is streamlined. Additionally, the initial build stage can be started sooner as the team can order materials and start working on the site before the total design is complete. There is simplicity in dealing with ONE company for all phases of the build or remodel. You can avoid the headache of making sure one firm is communicating with the other. With a design build firm, everyone is working together minimizing misunderstandings. Continuous internal communication keeps the project on track and running smoothly. If you live in the Bergen County, New Jersey area and are considering new home construction or a remodel, give us a call to learn more about our services and the benefits of working with our design-build firm.